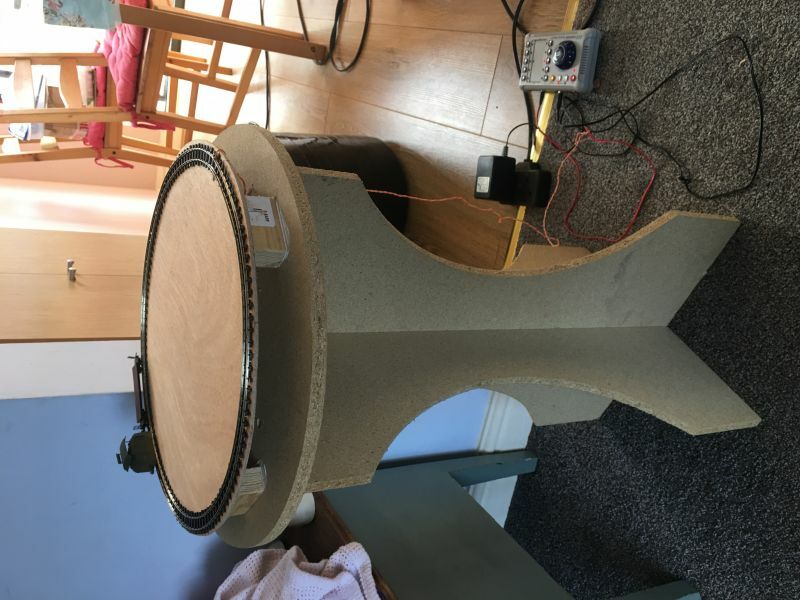 so i was bored and found a old wooden bedside table and some left over 009 track, a crazy thought crossed my mind and a new project was born. unfortunately my daughter saw this and as she loves my wifes christmas layout "Chapel Rise" insisted i built her a christmas layout with a castle and call it "Christmas Eve"
obviously i'm not going to say no to my little girl and any excuse to model. 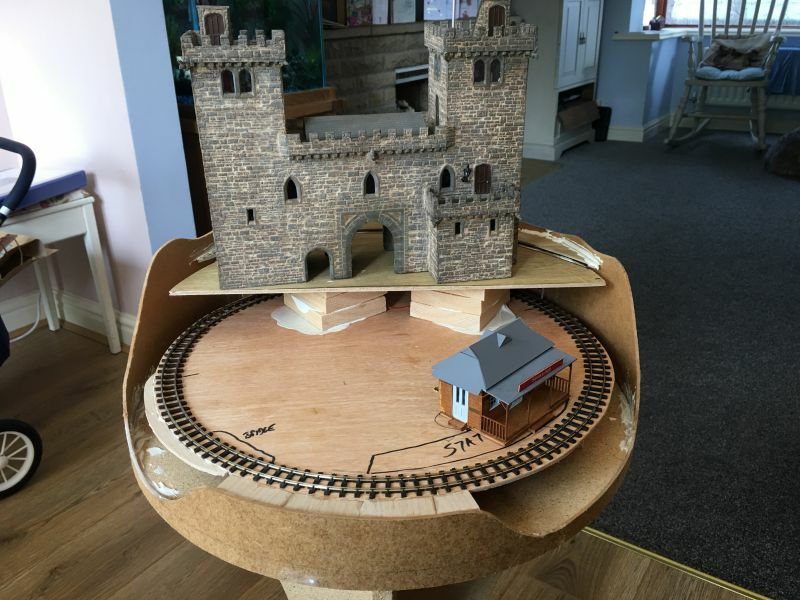 luckily i scratch built a castle years ago, so a little dust off and its good to go, although she has insisted that it has lights fitted, and insisted on a station building. the goal is to make it look as though it is sitting on top of a hill. i have lost my mind?? 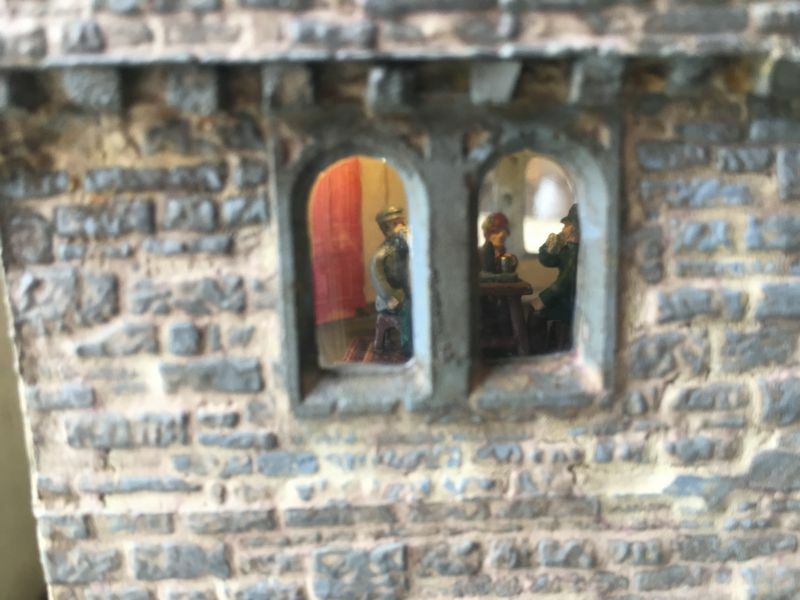 Great little project - what a wonderful way to get younger modellers into the fold. Wait until she discovers turnouts, fiddle yards and model people - you will have a never ending job!! 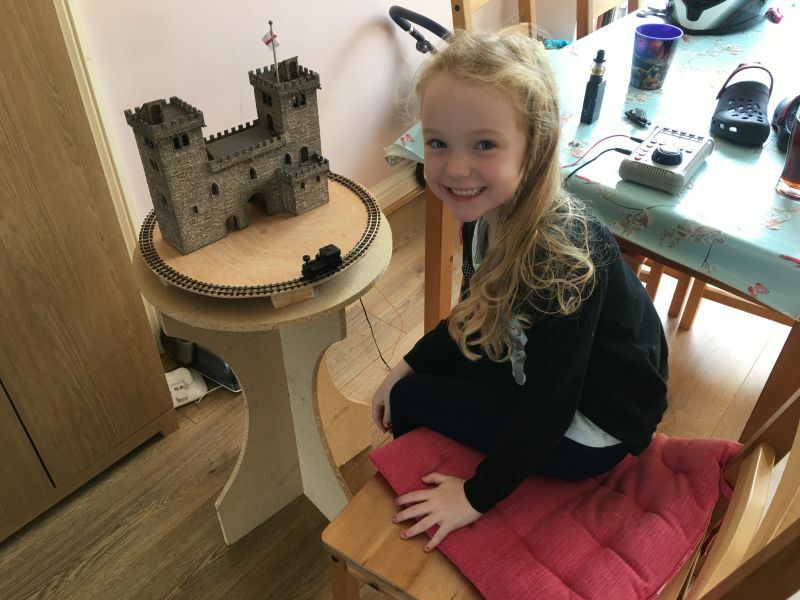 I bet she goes on to build her own layout one day - including the castle!! She is already more accurate at controlling locos than I am, and she wants to come to exhibitions with me when I exhibit my layout. I’d say without a doubt she will be in the modelling fold as she always sits with me when I’m building. Is Chapel Rise still out? Chapel rise is ready to come out again in December, I have added some more people to chapel rise and weathered the loco I will post some pictures. On another note chapel rise has been invited to the model railway show in Peterborough at the show ground in December. That is great! 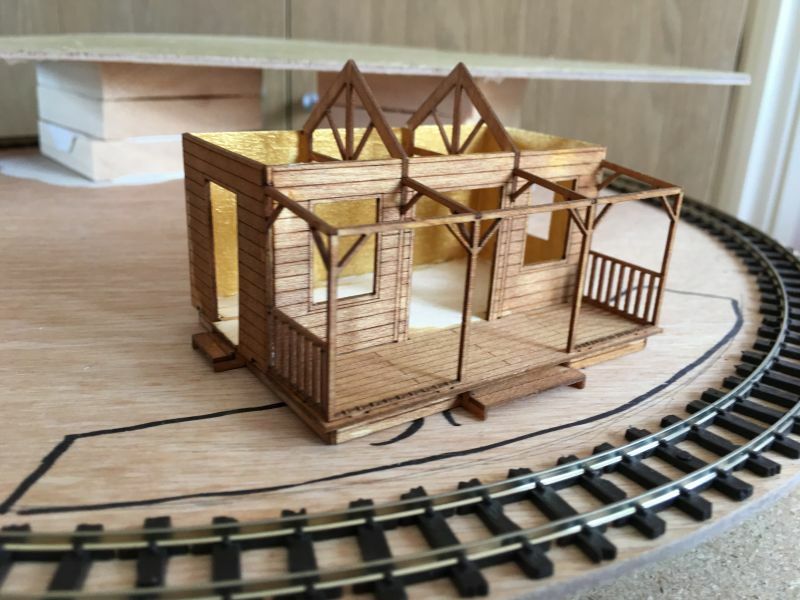 It’s a brilliant little layout! TeaselBay wrote: That is great! It’s a brilliant little layout! 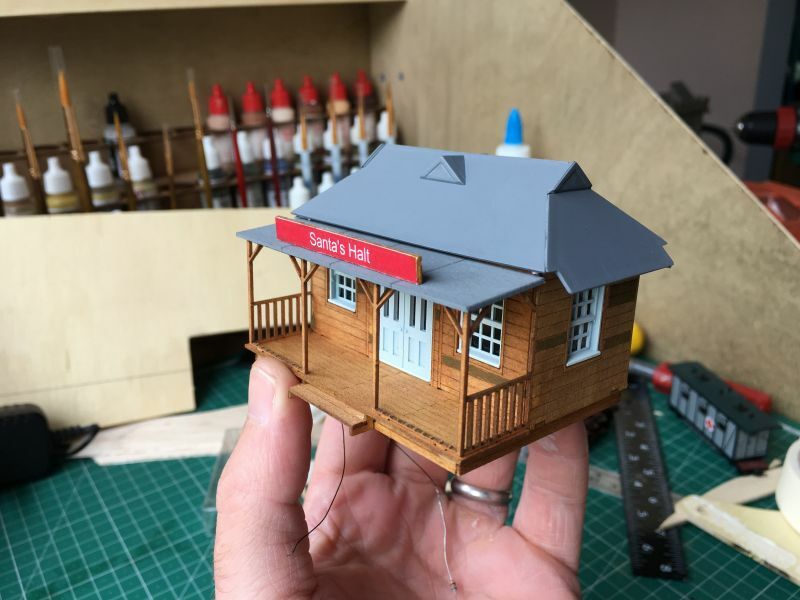 so my daughter wanted a station building, but obviously in 009 and on a layout this small, this was going to be a challenge. until i stumbled across a lovely little cricket pavillon kit. 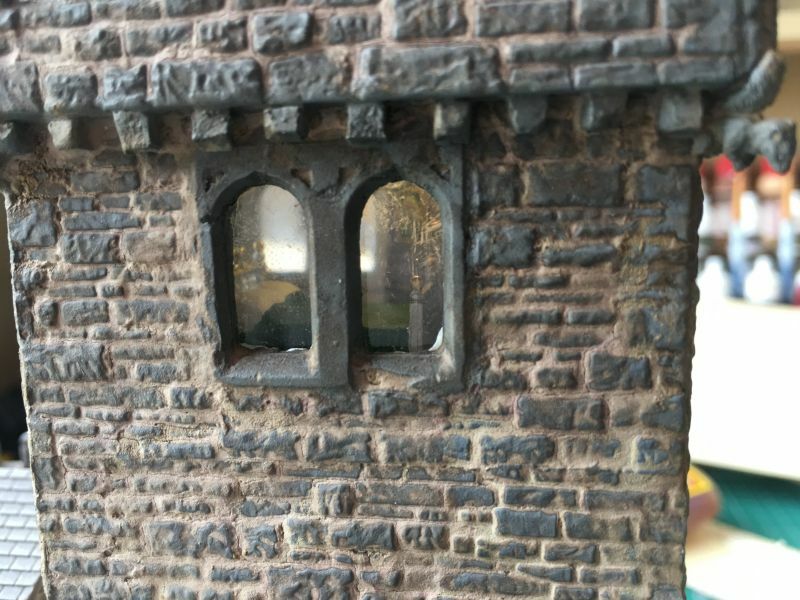 i decided that if i cut the front railing's off this would look like a small station, i knew that it dosent have to be completely prototypical as the castle is santa's house apparently. she then decided that the walls needed to be painted gold and found a white metal piano kit in my box of spares so yes this is the only station now with gold walls a piano and a counter with bronze till. so i painted odd planks to look as if they had been replaced at some point and a small LED light inside. 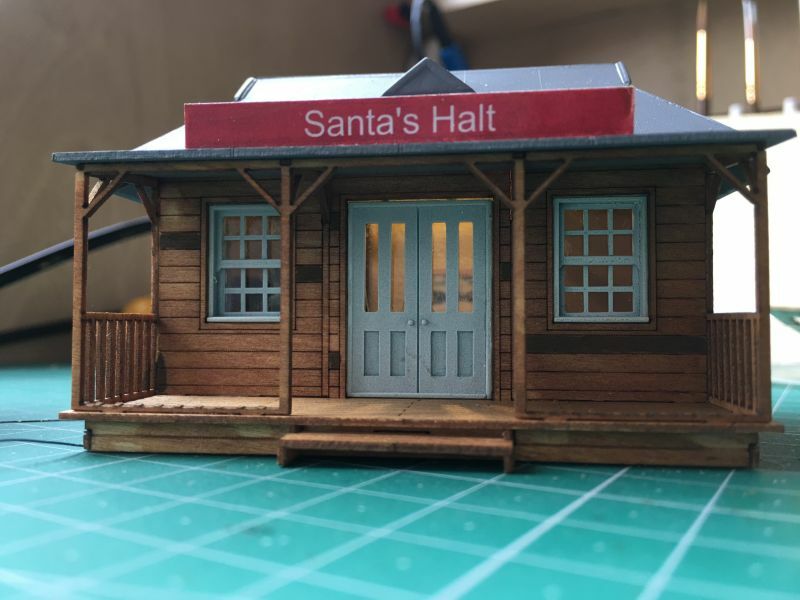 next up was to make the Santa Halt sign. this was done by printing the sign and then sticking it to a wood off cut from the kit. all in all i think it makes a super cute little station. Looks brilliant! 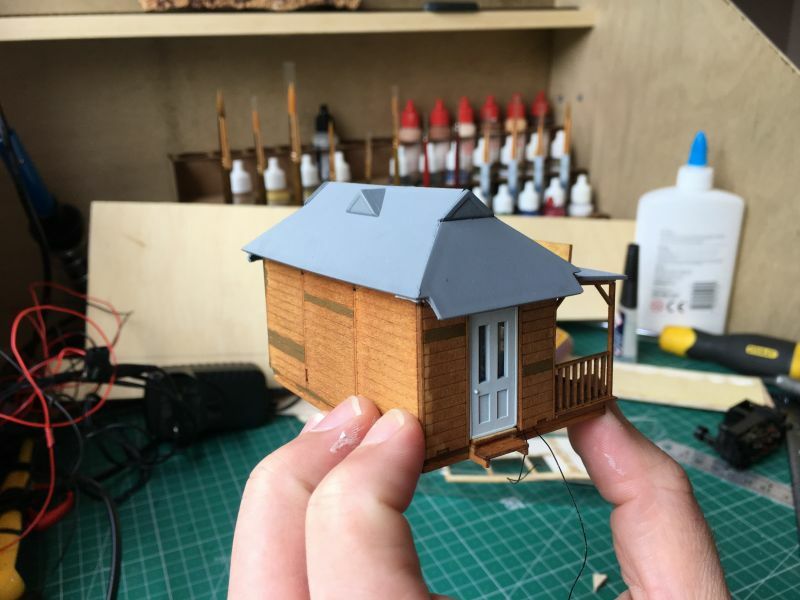 Love the adaptation of the cricket hut! 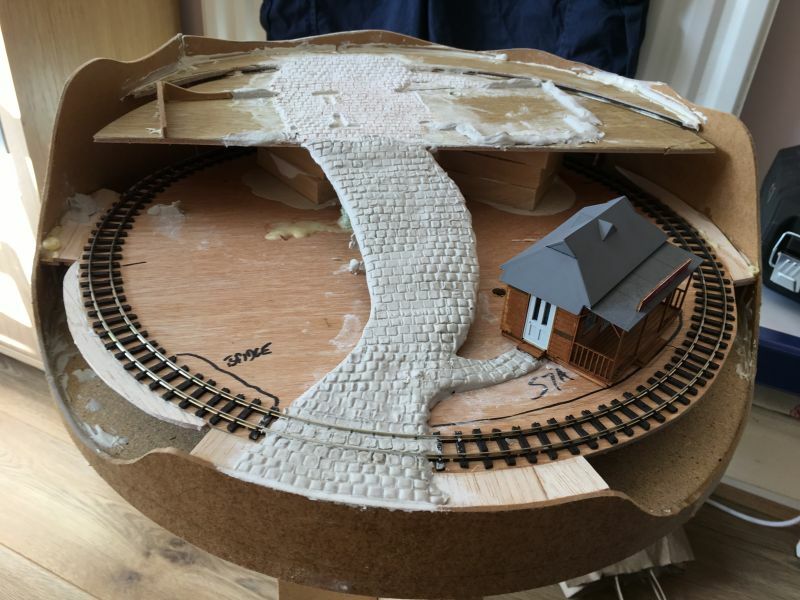 so next up was to start adding some height and contours to the layout and also i needed to add a facia board to help with the contour of the land. i think its really starting to take shape. Sometimes it is good to get away from the 'real' and just have fun without worrying if it is 'correct' or not. That station is perfect for the job too. Thanks guys, I must admit I am really enjoying this project. And my little girl gets so excited to help as well. That’ll become an heirloom Jimmy, make it to last mate. 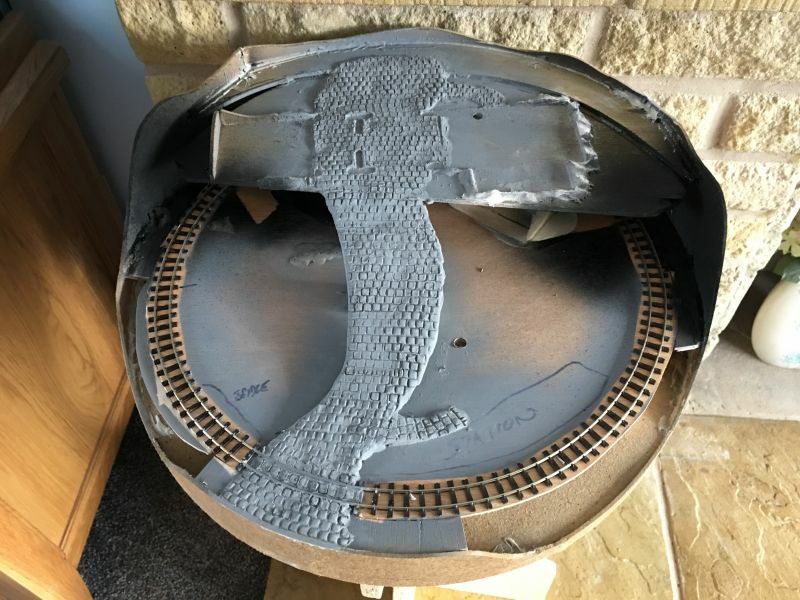 so after i built "operation abyss" i swore blind that i would never again hand scribe stones into clay, however my daughter said that on her layout she wanted a little road going to the castle and wanted it to look like operation abyss. well what she wants she gets. it is her layout at the end of the day. 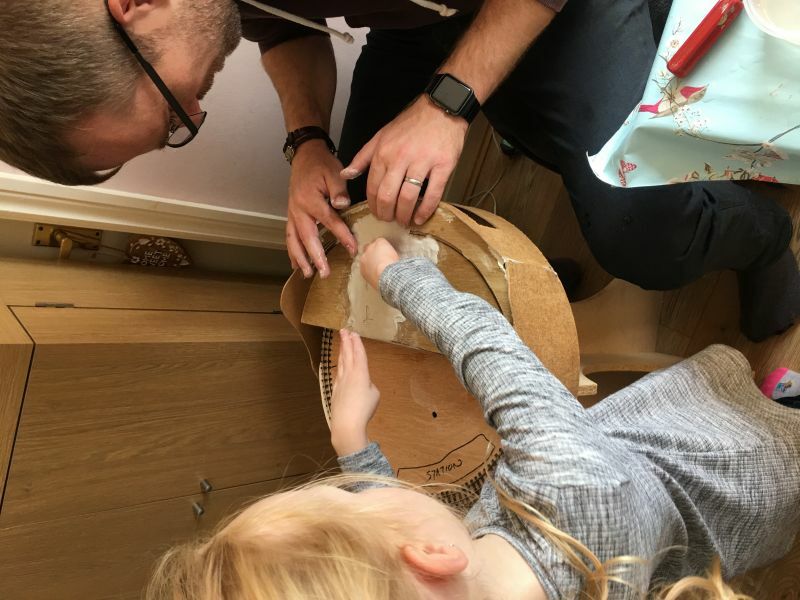 Another masterpiece in the making Jimmy.The look on your daughter's face tells the story.She's a lucky girl. Spurno wrote: Another masterpiece in the making Jimmy.The look on your daughter's face tells the story.She's a lucky girl. Thank you, I think she is more excited than I am. next up was a coat of paint on the road, this is just the basic base colour. but already taking shape. 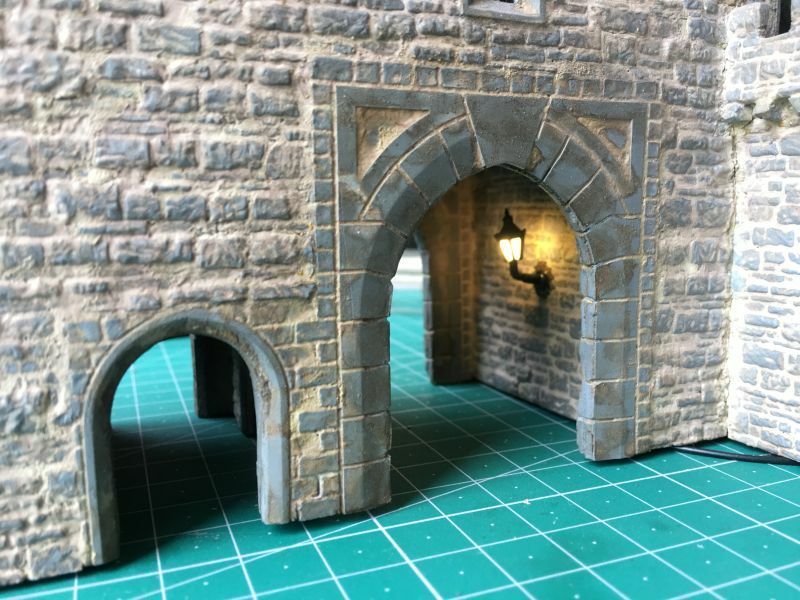 the next challenge was to make the tunnel entrance for each side, i decided that as they are so close to the castle the best thing would be to make the entrance to match the main arch on the castle. Coming on nicely. Looks great.